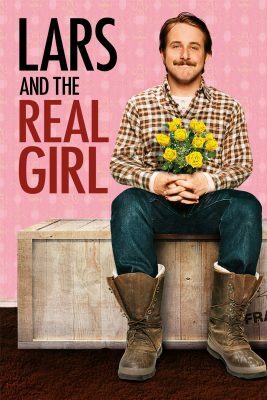 Extremely shy Lars (Ryan Gosling) finds it impossible to make friends or socialize. His brother (Paul Schneider) and sister-in-law (Emily Mortimer) worry about him, so when he announces that he has a girlfriend he met on the Internet, they are overjoyed. But Lars’ new lady is a life-size plastic woman. On the advice of a doctor (Patricia Clarkson), his family and the rest of the community go along with his delusion. A touching comedy drama gleefully portraying a community’s capacity for acceptance.